Harry Potter hero Daniel Radcliffe has sent a note to one of his fan sites thanking people for donating to his favourite charity, Demelza House. Dan requests that his fans donate to the children’s charity in lieu of sending him birthday and Christmas gifts, and it appears they have not let him down. 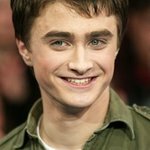 His fans on DanRadcliffe.co.uk raised £1,721.83 ($3,228.35) for his 17th birthday this July, bringing their fiscal year total up to £5,351.99 ($10,209.43). Demelza House provides hospice services for terminally ill children and their families.